This historic boarding house was built around 1870 in Menlo Park, New Jersey and was one of the first to be wired for electrical light by Thomas Edison during the pubic lighting demonstration of December 1879. 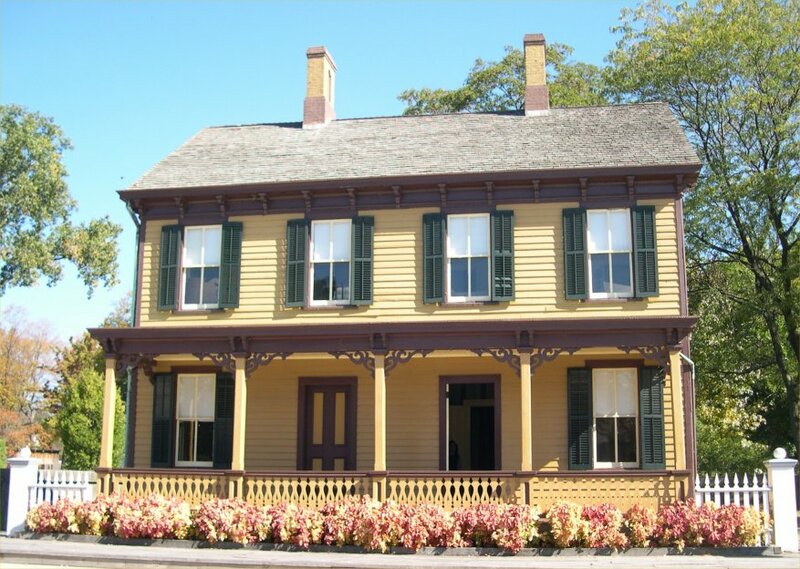 One of the earliest buildings moved to the historic Greenfield Village in Dearborn, Michigan honoring Edison. Fire broke out in the Sarah Jordan House on January 5, 2009. 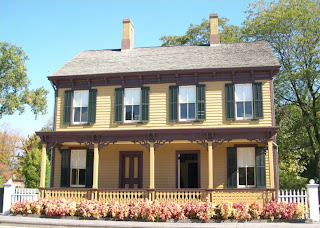 With fire and extensive smoke damage, there were great efforts to restore the boarding house before the reopening of Greenfield Village on April 15, 2009. Grabill restored and replicated to its original condition single hung windows with weight and pulley balances, crown moulding, beveled siding, soffet brackets and shutters to exact detail.